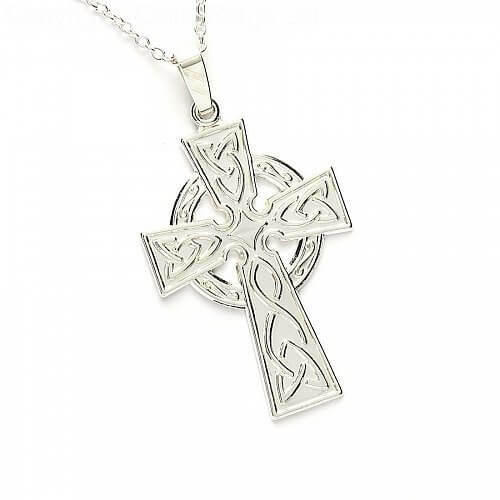 Big, bold, and beautiful yet, with a lovely simplicity this Celtic cross is nearly 34 mm tall. 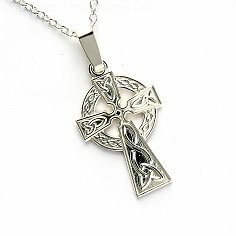 Boast Celtic pride with Trinity knots extending the lengths of the cross in flawless weaves that meet an elegantly curved diamond shape in the center. 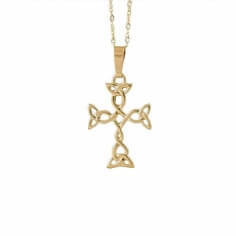 Four simple swirls decorate this crosses circle in harmony with the rest of pressed engravings. A sterling silver symbol with ancient origins brought to a modern era, creating a handsome piece that brings you the duality of old tradition and current fashion. Especially if worn with some of your other favorite pieces. Service rating : Very happy with the service and the product, would highly recommend. Product : Product is perfect and exactly how it looked on the website.